Parks and open space improve our physical and psychological health, strengthen our communities, and make our cities and neighborhoods more attractive places to live and work. Numerous studies have shown the social, environmental, economic, and health benefits parks bring to a community and its people. The Peoria Park District invites you to visit one of our many parks and enjoy the great outdoors! Parks in the Peoria Park District are open from dawn to dusk, with some amenities open until 11pm. Questions about our park system? Use our Contact Us page or give us a call at 682-1200. Whether you want to shoot hoops, skateboard or inline skate, or just enjoy the great outdoors, Becker Park is for you! 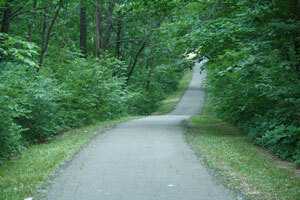 Becker Park has a 0.6 mile trail which is paved and fairly level. Located just south of Detweiller, Bielfeldt is a great spot for a family picnic or a lunchtime walk. Bielfeldt Park has a 0.25 mile loop trail which is paved and fairly level. This large park, located adjacent to Bradley University, was established in the late 19th century. Filled with amenities that will appeal to dog lovers and sports fans alike, the park traverses a high bluff woodland that grades down into the floodplain of Dry Run Creek. 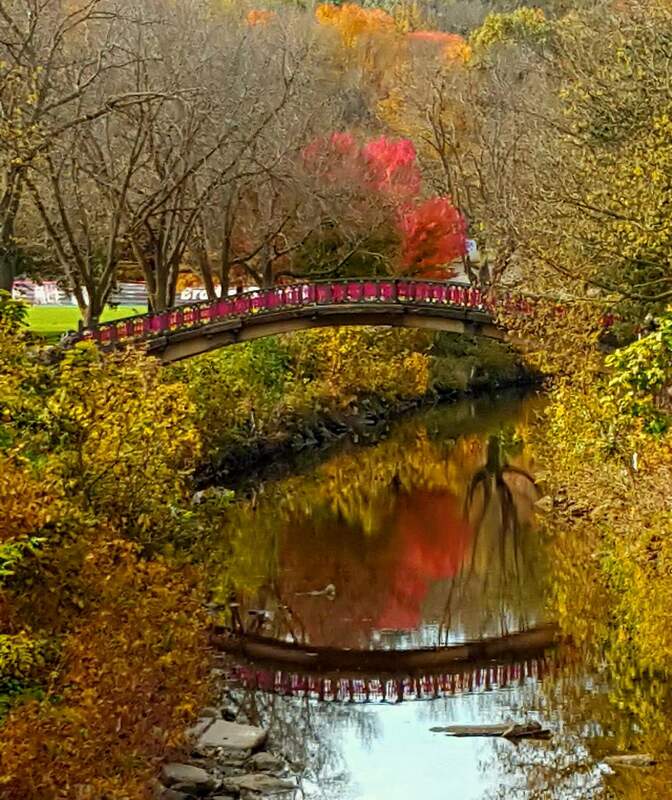 Along with numerous picnic sites, the park also features a beautiful Japanese bridge. The roads through Bradley Park provide paved, but not so level hiking opportunities. If you have questions about rentals at this park, please call 309-682-1200. With fishing, fun, and tennis/pickleball courts, Charter Oak Park has something for everyone. Charter Oak Park has 0.6 miles of paved, but not so level hiking trails. Click here to learn more about the Charter Oak Park Pickleball/Tennis schedules and court rules. Chartwell Park is a great example of a neighborhood park… with walking trails and playground equipment, it’s a great place to enjoy the great outdoors in your own backyard! Chartwell Park has a .6 mile trail that is paved and fairly level. Check out a book at the McClure Branch Library and then spend some time in the sun. 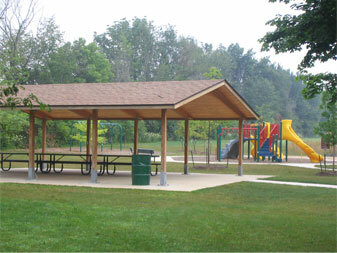 Featuring picnic tables and play equipment, Columbia Park is a great place to relax! Neighborhood parks like Creighton Woods are a great way to spend time outside and build a healthier lifestyle. 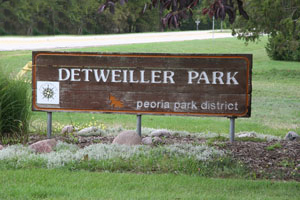 Detweiller is a popular multi-use destination for Peoria area residents who enjoy running/walking, soccer, volleyball, hiking, birding, and many other outdoor activities. Detweiller Drive, which runs through much of the park, features one of the finest, most diverse collections of oaks around. The early spring show of blooming redbuds, as well as the colorful fall foliage should not be missed! Nature lovers will love exploring one or more of the park’s 5+ miles of hiking trails traversing the Illinois River bluffs. If you have questions about rentals at this park, please call 309-682-1200. 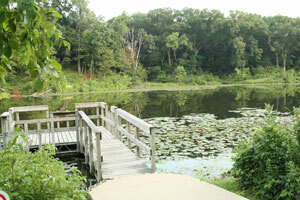 Donovan Park is a nature lover’s dream located in the heart of busy Peoria. Adjacent to the Peoria Park District Rock Island Greenway, the park is filled with open green space that welcomes walkers, runners and cross-country skiers (as weather allows, of course!). Northmoor Observatory* is also located on the grounds. With a lot of fun packed in a small package, Endres is a neighborhood park with a ton of fun!